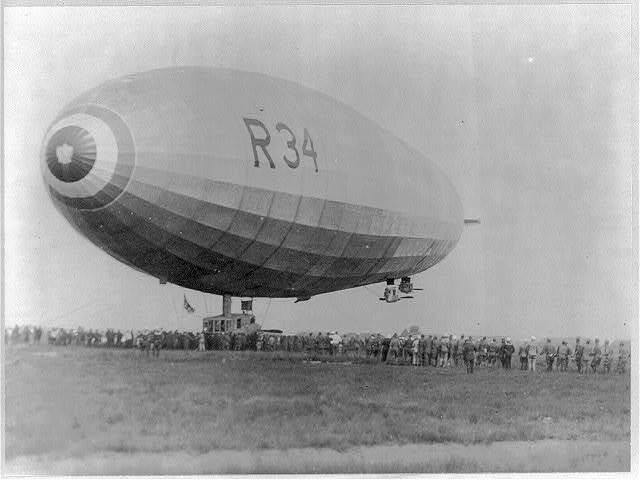 Started in 1917, the R-34 was built along the lines of a crashed and captured Austrian airship, the R-33, and was superior to all other British airships that came before her. She wasn't completed till after the war in 1919, and went on to set records in crossing the Atlantic, being the first from East to West... The ship was military in nature, with a bomb bay that could carry 3000 lbs of bombs, and considerable armament, which included pom pom guns and Lewis machine guns, were planned but only a minimum actually fitted. More on this ship on the Airship Heritage Trust. 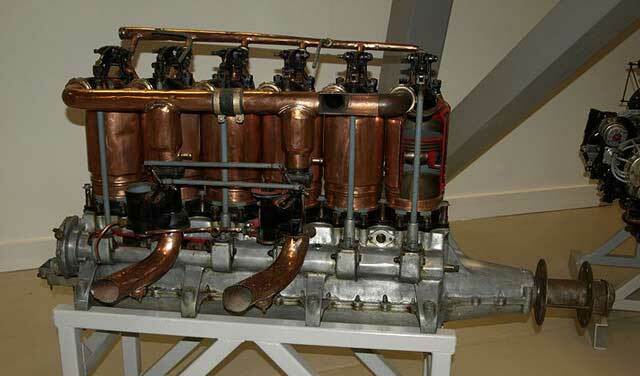 Many different types of engines were built, and as an example is this 160hp 6cyl water cooled engine that was based on an Austro-Daimler design. It was used in many aircraft from WW1 including the RAF's R.E.7. This particular engine is on display at the Imperial War Museum, and The Vintage Aviator also has one. Beardmore built many aircraft types, which include license built Sopwith Pups, but original designs using stresed skin construction on the Rohrbach principle were built, but not very successful. One of these was a trimotor transport plane that was delivered to the RAF in 1928, the Beardmore Inflexible, a big aircraft that flew well but was much too heavy for it's 3 Rolls Royce Condor engines. No more were ordered and the existing plane was used for testing. Beardmore outfit his ships with much of the armament. 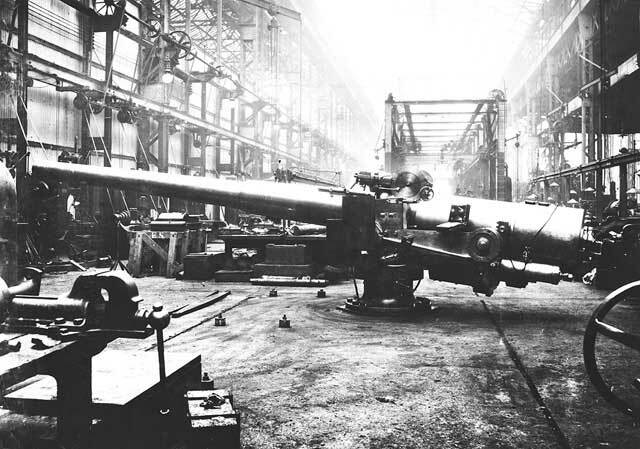 The railroad tracks split the factory in half, with workers having to wait while trainloads of these guns passed through.